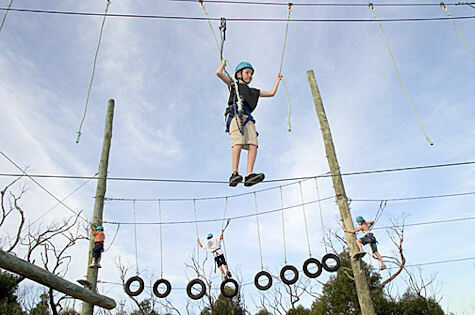 The high ropes course tests your initiative and balance to negotiate the 5 element, 5 metre high obstacle course. 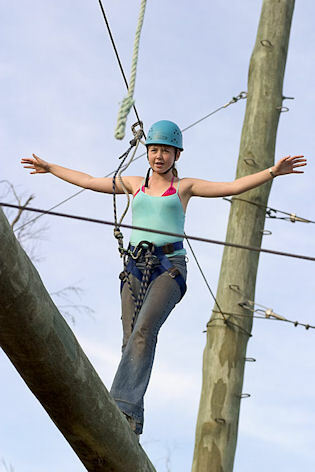 Face your fears and take the challenge to make it through the course without holding on to your personal safety lines. A buddy checking system is used which makes this an excellent activity for developing communication between pairs and provides a challenging and shared experience for your group that's fun too! 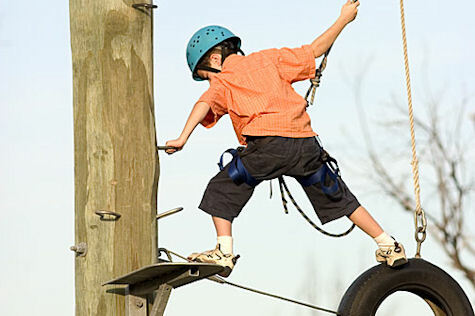 Professional instructors facilitate your session and will set you up with your harnesses, helmets and safety lines. The activity is conducted in a controlled environment using industry approved techniques. Minimum age recommendation - Year 7 (12 years).